Mike Harding was commissioned by The Southbank Centre to record bees for The Bee Symphony, to be performed on Sunday 6th September 2009 at The Queen Elizabeth Hall, London as part of Pestival. 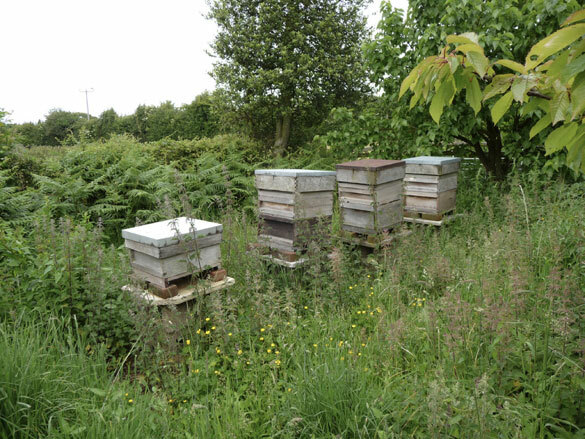 The Bee Symphony, with music composition by Marcus Davidson (Spire) and bee recordings by Mike Harding diffused by Chris Watson, will be performed at “Cross Pollination – An Evening of Experimental Insect Music”, curated by Chris Watson. Equipment used includes 2 x dpa 4060 mics, recording onto a Nagra Ares P-ll at 48k 24bit, and of course, a coathanger and bee suit… with thanks to Jane Beese at The Southbank Centre.